employees and attracting business. We cannot help you with those things, but we will assist you in one of your biggest worries: a break-in. We offer a full line of commercial locksmith services. These services include commercial locks, business lockouts, push bar locks and state-of-the-art digital control keypad. You must worry about the safety and security of your employees. You are always thinking about the expensive equipment you have that you cannot afford to lose. You fear someone breaking in and stealing from your business. If you call us at 775 507-7177, you can put your lock and security worries behind you. Our team of locksmith experts have the knowledge and training to resolve security challenges for any Nevada business. Contact us 775 507-7177 today.employees and attracting business. We cannot help you with those things, but we will assist you in one of your biggest worries: a break-in. We offer a full line of commercial locksmith services. These services include commercial locks, business lockouts, push bar locks and state-of-the-art digital control keypad. A commercial locksmith specializes in securing large and small businesses. They focus on securing any type of business based on the client’s needs. Also, they have a wealth of knowledge on a variety of lock systems ranging from complex, high tech security to surveillance systems. In addition to securing windows and doors, commercial locksmiths have extend knowledge of how to install desk and file cabinet locks. Commercial locksmiths areexperts because they have extensive training in commercial locksmithing skills, training and certificates. Thus, they can assist you better than someone who is an expert in residential locksmith issues. A commercial locksmith will secure your employees and belongings by providing the follow services: employees and attracting business. We cannot help you with those things, but we will assist you in one of your biggest worries: a break-in. We offer a full line of commercial locksmith services. These services include commercial locks, business lockouts, push bar locks and state-of-the-art digital control keypad. Our business lock services also includes safes. We can open, fix, manipulate and repair safes from a variety of manufacturers. Some of the safe manufacturers we work on include those made in the USA and foreign company such as Amsec, Cannon, Gardall and Mosler. What is the best locksmith service near me? 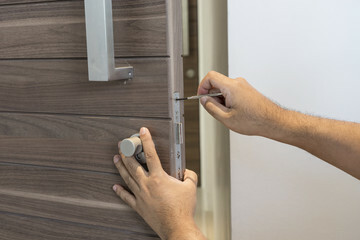 If you are searching for a trustworthy, affordable, courteous locksmith service, you have found us. We are your locksmithservice for simple lock outs and lost keys to high security and keyless entry. Contact us for all your lock-related needs at 775 507-7177. We are available to assist you night or day. You may be focused on securing your business property than whether a locksmith can provide 24-hour service. That is understandable. You are concerned with keeping your business safe at all times. 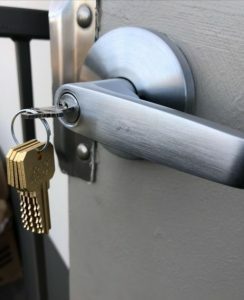 After picking a company to install locks or a security system, something will happen that changes your mind about a 24-hour locksmithing service. Maybe it is as simple as you lock yourself out of the business. It may be an attempted break-in at 4 o’clock in the morning. These are the times that you will be happy that we are available 24 hours a day, 7 days a week. If the worst happens and your business is broken into, there is lock-related damage or something in between, quick response is key. We are always on call. We respond fast to your call. We work even fast to get your locks and security restored to prevent further damage. Our fast response is also for lockouts. You misplace your key or someone takes it, our emergency locksmiths will arrive quickly to get you inside your business without causing any damage. We work with All Type of Commercial Companies in Reno and Surrounding Areas. You never have to worry that we cannot resolve your company’s lock-related problems. We resolve the needs of all business regardless of how large and/or small the size of the company. Let us be your locksmithing business. Contact us at (775) 507-7177. You want a locksmith team experienced, bonded and qualified to resolve your commercial locksmith needs. You want us. Our team of expert locksmiths under the most stringent training to ensure they will resolve all your business security needs. You know, many security companies may not want you to know this, but locksmiths are experienced in providing security to businesses. In fact, we love helping our clients by giving assessments and determining the extent of security risk to a property and how to eliminate those risks. We love to apply those assessments by installing the equipment and procedures that add a plethora of security layers to stop any intruder too. The right locksmith employs the right assessment and implement that plan to keep wrongdoers out and your business well protected. We can do this and work within your budget. Contact us immediately for help you all of your security and locks needs. Call 775 507-7177. Contact for help today with your lock-related needs at 775 507-7177.